After having consolidated their cargo fleet, LATAM Cargo Group has been having a good look at their present and future cargo destinations. A couple of months ago they started a B767F service from Madrid and Brussels to South America. Two new non-stop passenger services will be introduced whereby the carrier can offer ample belly capacity for cargo. Guarulhos (Brazil) to Lisbon will be inaugurated in September 2018 and Guarulhos to Munich is planned to start during the first half of 2019. These new routes are part of LATAM’s newly defined expansion plans for Europe and Munich becomes the carriers second German destination next to Frankfurt. A new all-cargo service with the B767F was opened between Miami and Chile’s far northern Antofagasta Airport. The flights operate twice a week and can carry up to 50 tons per takeoff. The service continues from Antofagasta to Santiago. The northern Chile area is known for its large mining industry. In a surprise move, Nippon Cargo Airlines (NCA) grounded their complete fleet of eleven B747 freighters. The move follows a visit by inspectors of the Japanese traffic ministry who determined that there were various discrepancies in the carrier’s maintenance records. It is said that there have been several incidents during the past months relating to aircraft maintenance, among them, that in two separate incidents engine parts were dropped on flights into Tokyo’s Narita Airport as well as an engine fire in a B747F whilst landing in Hong Kong. Earlier this year, NCA incorrectly identified damage caused by a bird strike as “minor” rather than “major”, following this with “bungled treatment” of a dent found during a pre-departure check. All three B747-400Fs and the eleven B747-8Fs were grounded and flight operations were ceased until further notice. It is said that the carrier has been under scrutiny by the Japanese Ministry of Land, Infrastructure, Transport and Tourism (MLITT) for some time after apparently failing to report quite a few minor incidents in their fleet during the past twelve months. In a statement issued on June 22nd, NCA informed their customers that the flight suspension would go on for at least another week due to the fact that the check on their maintenance records will take longer than they originally anticipated. Meanwhile, NCA has extended the grounding by at least a week and is now likely to resume operations only on July 1, 2018. The Narita-headquartered cargo airline operates services to the U.S., Europe, and Asia. In March it launched a codeshare agreement with Cargolux, shortly followed by a similar pact with All Nippon Airways for cargo services into the U.S. While these NCA-operated codeshare flights have been halted, it is understood that flights operated by Atlas Air, which operates two 747-400Fs on an ACMI-basis for NCA, have not been affected. Cargolux is said to have offered NCA help in the meantime by either giving them block space or aircraft capacity. RusPrix recognizes public organisations, companies or individuals involved in cultural or political activities since 2004, who have developed strong ties with the Russian Federation. Andrey Andreev, Vice President, Europe for ABC and his team received the award at the ceremony. ABC has been operating scheduled flights in and out of Amsterdam since 2005 and the airport has become one of the carrier’s most important online stations in Europe. 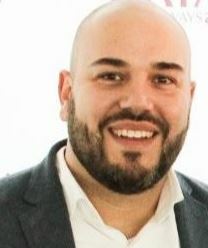 Berlin-based logistics company Zeitfracht which now owns the ex-Air Berlin daughter Leisure Cargo, has announced that Boris Blagojevic-Lee has been appointed as Director Global Sales at Leisure Cargo. He will take up the position as of 1. July this year. Blagojevic-Lee’s main task will be to expand Leisure Cargo’s international business in the Sales and Capacity steering in Central Europe sector as well as GSA Management and Sales coordination. 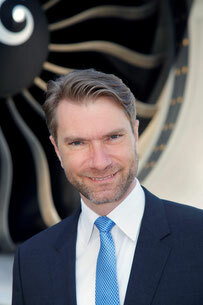 Zeitfracht’s management is convinced that he brings the necessary experience with him, having spent some years previously with Qatar Airways. Leisure Cargo represents 14 different airlines, works with around 200 Interline Partners and offers cargo space to more than 300 destinations worldwide. Revenues in 2017 totaled EUR 125 million. The Memphis-based cargo carrier is expanding their fleet even further and have placed an order with Boeing for another twelve B777Fs and twelve B767Fs in a deal which is said to have a book-value of US$6.6 billion. This follows on their recent order for fifty Cessna Sky Courier short-distance freighters. FedEx presently operates a mixed fleet of almost 660 aircraft. These range from smaller Cessna’s to B747 freighters. In other news the airline announced a strong fiscal 2018 Q4 and full-year earnings. The fiscal year revenue went up by 7.9% to reach US$65.5 billion and fiscal fourth quarter revenues alone rose by 9.1% to US$17.3 billion. The FedEx Express unit’s quarterly revenues which did not include the TNT Express integration costs, went up by 9% and actual operating income was recorded at US$990 million - a 10.45 percent increase. 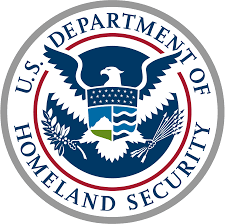 The U.S. Department of Homeland Security (DHS) Air Cargo Advanced Screening (ACAS) was finally put into mandatory motion in mid-June. This air cargo pre-screening programme is now law and requires that all carriers flying into the United States submit advanced information on cargo shipments carried to the U.S. Customs and Border Protection unit (CBP). Discussions on this pre-screening programme have been going on since 2010 when a pilot project was introduced after there were attempts to place explosives in air cargo shipment packages destined for the USA. This programme was until now on a voluntary basis for both cargo and passenger carriers as well as for the forwarding community. This has now changed, and the mandatory pre-screening is in effect for cargo from all countries as of June 12th. The information must be supplied to the US authorities before the cargo is loaded onto the aircraft at airport of departure. Previously the requirement was for the information to be with the CBP by latest four hours before aircraft arrival. Cainiao which is the logistics arm of Chinese e-commerce giant Alibaba, has signed a Memorandum of Understanding (MoU) with Dubai-headquartered Emirates SkyCargo under which Cainiao will create a hub in Dubai and both Emirates and Cainiao will strive to work on so called cross-border deliveries. The Dutch minister for Infrastructure and Environment Cora van Nieuwenhuizen has turned down the proposal for a local rule at AMS. This rule would have allowed for unused slots to be reserved primarily for cargo flights. Ms Van Nieuwenhuizen argues that the rule would make the airport exceed the limit of 500,000 movements a year to which it has committed itself. The air cargo stakeholders, represented by Air Cargo Netherlands, Transport & Logistiek Nederlands and evofenedex (shippers) say that exceeding the limit has never been the intention. "The sole aim was in optimising the use of slots," they emphasize. The said organisations hope that a new proposal may be drawn up soon. The letter in which Ms Van Nieuwenhuizen justifies her decision is said to contain sufficient clues from which a new proposal can be made up. The question remains whether this can be ready for implementation before the start of the winter season. It will have to pass all the administrative and political procedures again. The Air Cargo Community Frankfurt (ACCF) is seemingly happy with progress made during the past business year. In a statement issued lately at their sixth membership meeting at Frankfurt’s House of Logistics and Mobility (HOLM), ACCF’s Chairman Joachim von Winning stated that the organisation’s activities were in the meantime not only centred around Frankfurt Airport’s Cargo City South (CCS) but have also spread to other areas. Membership in ACCF continues to grow steadily he stated with in the meantime a total of 55 members on ACCF’s books. New additions during 2017 were among others, Jan de Rijk, STI Security Training International, Thermologistics and Union Logistik International. Activities are not just restricted to problem areas at FRA Airport, but also inter-regional connections have been established in order to exchange ideas and possible solutions for air cargo issues. New projects have been initiated which are aimed at better coordination processes at FRA which are meant to lead to slimmer and faster cargo handling and transparency.